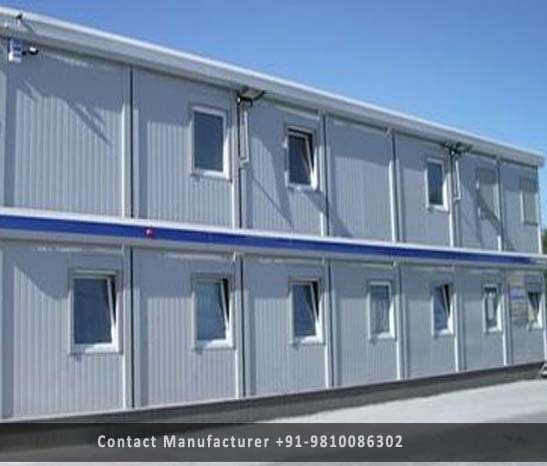 Prefabricated Double Storey Buildings Manufacturer in Delhi, Prefabricated Double Storey Buildings Supplier in Delhi, Prefabricated Double Storey Buildings in Delhi. We have gained rich industry experience in this domain for offering a wide array of Prefabricated Double Storey Building to our valued clients. Presented arrays of products are quality tested on industry quality standards by our quality checker team to ensure that quality approved Prefabricated Double Storey Buildings are delivered at customer end. Furthermore, offered range of Prefabricated Double Storey Building is used prominently for commercial needs.